Lift Your Voice in Joyful Song! 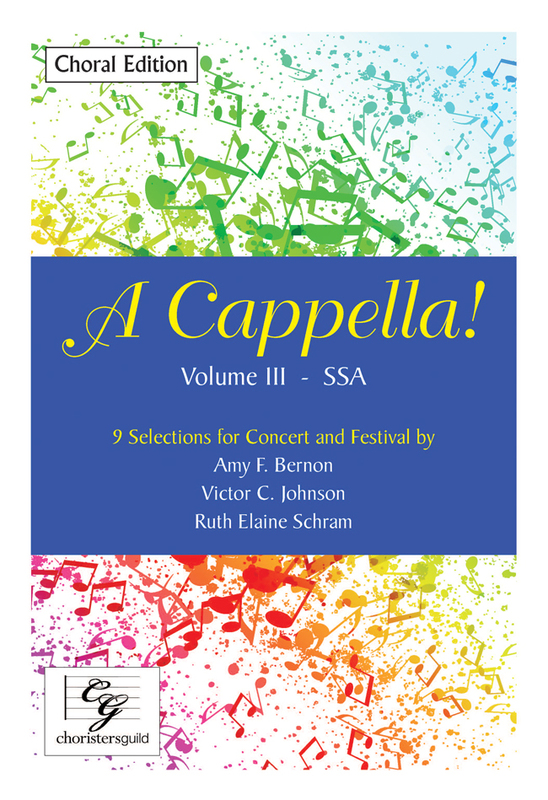 Volume III in the popular A Cappella! series features nine concert and festival selections for young and developing SSA choirs from creative writers Amy F. Bernon, Victor C. Johnson and Ruth Elaine Schram. The Choral Edition, ideal for use as a judge's copy or for your singers. Comprised of one spiritual arrangement, three folk song arrangements and five original selections in a variety of styles, this collection is an exceptional value and a great resource for your music library.